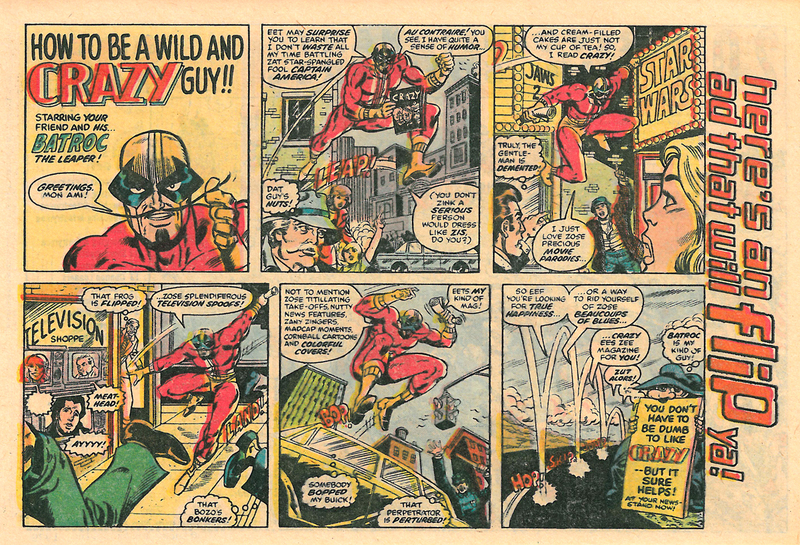 Marvel published a great house ad for Crazy Magazine in its comics dated March 1980. 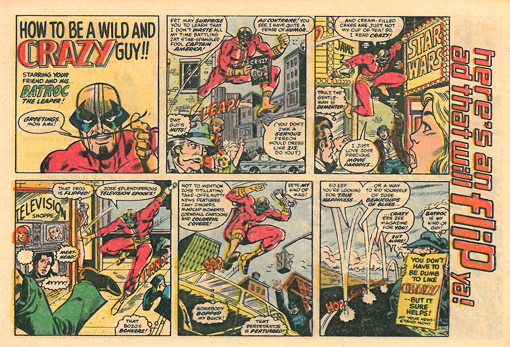 It was always hard to take Batroc The Leaper seriously as a villain, what with the French accent, the mustache, and the absurd over-confidence, so he was well suited for the fun plug for "The Magazine That Dared To Be Dumb!" The alliteration is astounding and well worthy of Stan Lee himself.